Ever/Never Records in New York City released a new 7″ from DICKHEAD RESCUE on February 17th. More Than… is their debut release and comes with two tracks swarming with static noise. These two songs are dense and repetitive, busting at the seams with impeccably scratchy guitars and glitch-y drumming. While listening you may think your 7″ keeps skipping on the turntable. A-side “More Than…” would be a glimmering glam-pop stomper if not for the cruddy layer of nasty guitar filth. You encounter a heavy dose of noisy, metallic feedback throughout, almost like rusty hinges on a door creaking relentlessly. “Erepeato” throws you into a downward spiral with bass and guitar sputtering together like a chugging motor. Chanted vocals cut through the murky fuzz while the nonstop drumming barely holds everything in place. The background noise in this one sounds like it was field recordings of a can-opener. Now assault your ears with these two fuzzy numbers below. 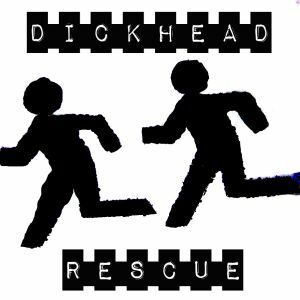 Posted on February 26, 2015 by styrofoamdronePosted in ReviewsTagged 2015, Dickhead Rescue, Ever/Never Records, garage rock, More Than..., noise rock, punk.